It's interesting to know that the Murcielago replacement, possibly named the "Avendator", packs out 50 more Hp and that it's also lighter than the Reventon. This makes the 2.2 million $ price a little hard to swallow knowing that the flat black supercar can be described as a rebodied Murciélago LP640. But for that price you get one out of the only 20 existing Reventons with the most outrageous styling ever seen on a Lamborghini supercar, a top speed of nearly 340 Km/h (211 mph) and an ever increasing resell value. 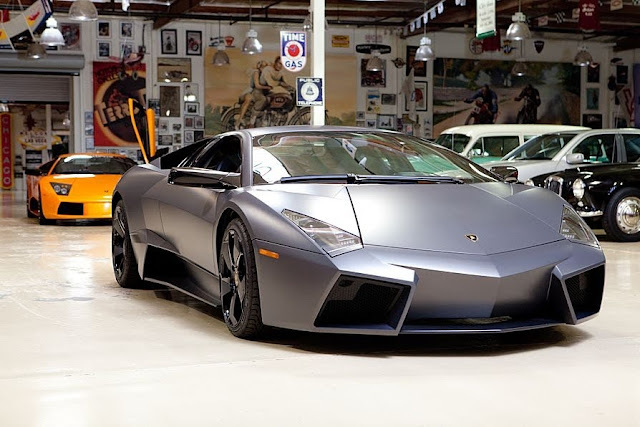 Watch the Reventon 7/20 being driven by Jay Leno in the video below.